550 km in length with 900 watchtowers and 120 larger and smaller fort sites, the outer Upper Germanic-Rhaetian Limes is one of the most impressive archaeological monuments of Central Europe. In the summer of 2005, the largest archaeological site in Central Europe was inscribed in the UNESCO list of World Heritage Sites. This means that the ancient border which once divided the Roman Empire from the Teutons as part of the network of imperial boundaries running through Europe, the Ancient Near East and North Africa is now under international protection. The Limes marks the most recent Roman border in Germania. Its construction was preceded by a 160-year history of conquest which was carried out in several stages, this artificial border between the Rhine and the Danube marking the last phase of the process. The course of the western section of the Limes as it is today, i.e. in Rhineland-Palatinate and Hesse, was established by the beginning of the 2nd century AD, while the outer line to the south (Baden-Württemberg and Bavaria) was not completed until at least 60 years later. The Limes World Cultural Heritage Site includes numerous forts of varying sizes, civilian settlements - some of which have extended bath facilities and residential buildings - and also Limes towers as well as the border fortifications themselves. The Upper German-Rhaetian Limes from the Rhine to Rotenbachtal, west of Schwäbisch Gmünd, has ramparts and a moat, its wooden palisade possibly indicating the first border fortifications. From Rotenbachtal to the Danube near Eining a continuous stone wall reflects the most recent construction phase. 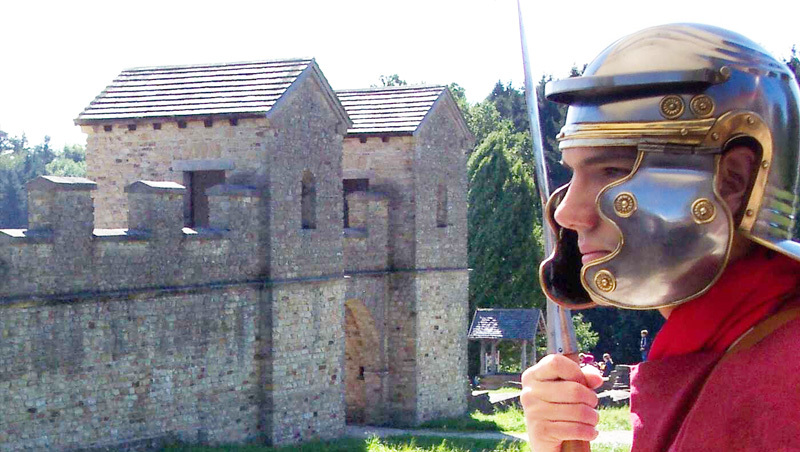 In recent decades numerous Roman ruins have been excavated, restored and made accessible to the public along the Upper Germanic-Rhaetian Limes. Today some of these are subject to enduring protection, either restored in the field or in some cases under protective cover. A wealth of additional information is provided on site relating to the history of the Upper Germanic-Rhaetian Limes and its predecessors. 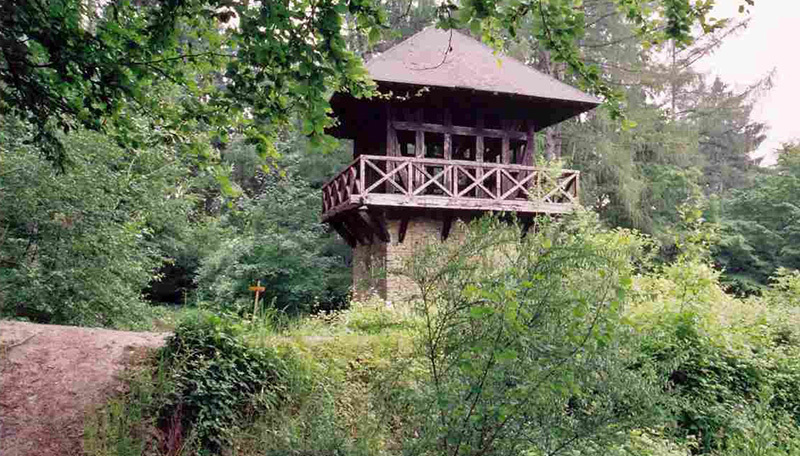 At numerous points, parts of the Upper Germanic-Rhaetian Limes have been reconstructed on a 1:1 scale and made accessible to the public in archaeological parks. Here, the visitor gains an excellent insight into what archaeologists have gleaned from excavations in recent decades in terms of building structures but also in relation to the organisation and history of the outer Upper Germanic-Rhaetian Limes. The largely intact archaeological monuments have been separated off from any existing or planned development in consultation with the local municipality and county authorities - frequently with significant financial support from associations with an historical interest or from the relevant federal states (Rhineland-Palatinate, Hesse, Baden-Württemberg and Bavaria). They have also been approved as archaeological parks for public access, thereby securing monument status. This enables the archaeological substance to be preserved in the long term so as to make it available to future generations for research. Numerous excavated items are presented to the interested public in the major state museums but also in numerous regional museums. In particular the Saalburg Museum in Bad Homburg v.d.H., the Roman Museum in Osterburken, the Limes Museum in Aalen and the Roman Museum in Weißenburg are centres of information on the history of the Upper Germanic-Rhaetian Limes. The Upper Germanic-Rhaetian Limes is fundamental part of European cultural heritage. As an artificially created border installation it is not just an edifice which reflects outstanding engineering skill, it also uniquely symbolises the clash between the world of classical antiquity with the culture of Central and Northern Europe, at the same time bearing witness to the merging of vast areas of Europe to become the joint cultural and economic region of the former Roman Empire. The Limes is internationally important as evidence of this cultural movement which led to the emergence of the European Middle Ages, to which we can ultimately trace back the modern age. In order to protect and maintain this shared heritage across the various German federal states concerned, the Deutsche Limeskommission (German Limes Commission) was founded in Esslingen in 2003. Its mission includes the consolidation of aspects relating to tourism but also formulation of research questions so as to initiate concrete projects for the further investigation of this ancient border. Research into the Upper Germanic-Rhaetian Limes has a long history which is steeped in tradition. The first extensive studies on the history of the outer Limes were initiated as long ago as the 18th century by the archivist Christian Ernst Hanßelmann, employed by Count Hohenlohe. He is regarded as the doyen of Limes research. The Reichs-Limeskommission (Imperial Limes Commission) founded in 1892, and its predecessors in various regions of south-western Germany, pursued the aim of researching the Upper Germanic-Rhaetian Limes in its entirety by applying a consistent approach. For this purpose the Limes was divided into 15 sections from the Rhine to the Danube near Eining. The Imperial Commission numbered the various Limes watchtowers and forts consecutively. To build on this excellent research basis laid down by the Imperial Limes Commission, the Deutsche Limeskommission (German Limes Commission) was founded in 2003 in Esslingen. Its task is to formulate joint strategies and goals relating to all issues of Limes research and tourism and implement projects. The German Limes Road runs along the Upper Germanic-Rhaetian Limes from the Rhine to the Danube, so it offers a perfect basis for the development of tourism. The two institutions work in close collaboration. It is hoped that travellers can gain striking impressions and insights into the Roman history of the area, and combine this with sheer enjoyment and relaxation in what is frequently a beautiful and diverse landscape with many towns of Roman origin.